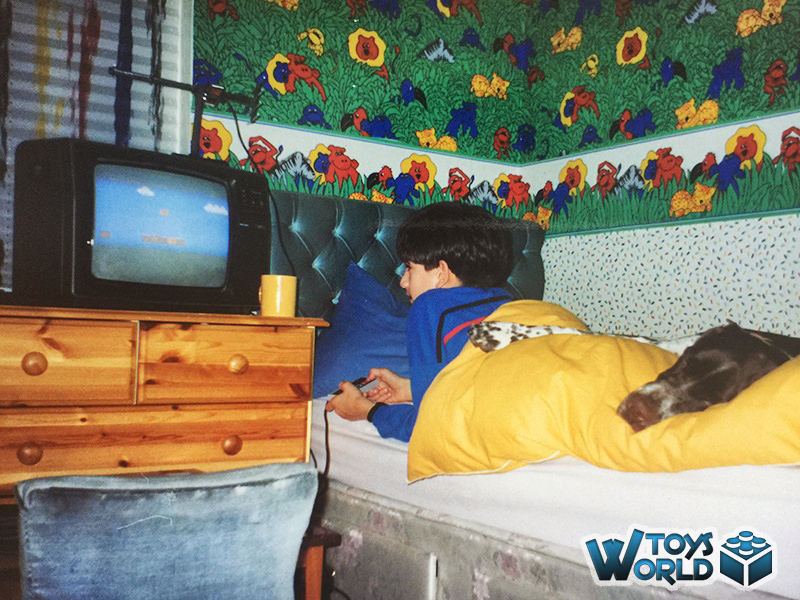 Seb playing ‘Super Mario Bros.’ on the NES (1987). When I received my very first gaming console (the NES) in the Christmas of 1987, it was bundled with Super Mario Bros. Within seconds I was hooked and everything about it still holds a special place for me all these years later. This was, and is, a truly classic game. 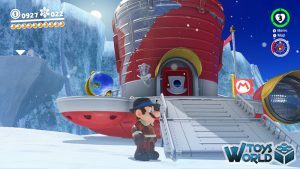 Exactly 30 years has passed since that special Christmas, and with many fantastic iterations of the Super Mario franchise having been released during that time, the biggest, and possibly most-anticipated title yet has finally landed on our doorstep, courtesy of Nintendo. 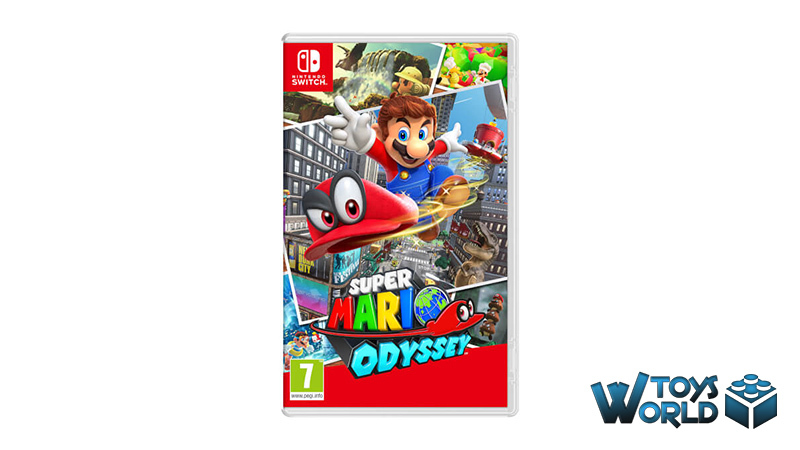 Super Mario Odyssey is a 3D platform, action and adventure game, taking elements from Super Mario games of the past, but with more of a Super Mario Galaxy feel. It’s so much bigger, though, and each land Mario visits is a huge area with countless tasks, puzzles and secrets to explore. 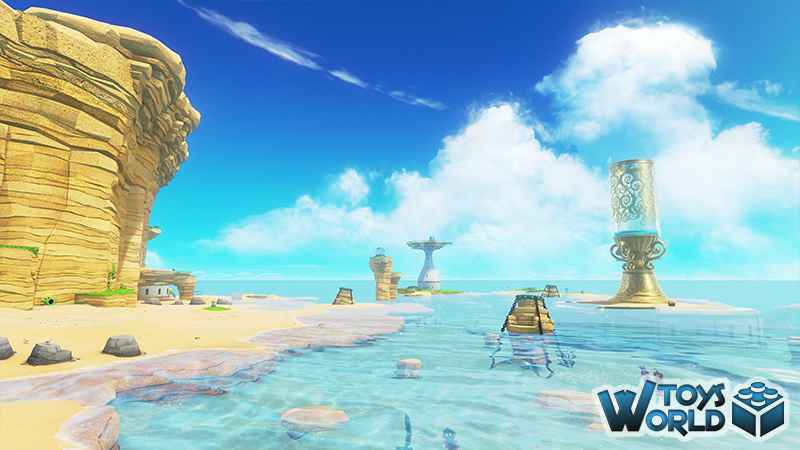 The basic premise is that Bowser has kidnapped Princess Peach again (hey, if it ain’t broke, don’t fix it!) – this time he’s upped his game and plans to marry her! As well as Peach, Bowser has also taken Tiara; Cappy’s (Mario’s hat-shaped partner in this adventure) sister. 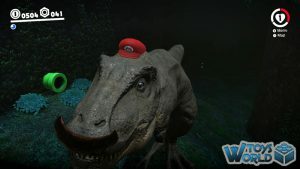 Together Mario and Cappy team up to rescue their loved ones, and undo all manner of Bowser’s ill-doings across the world. 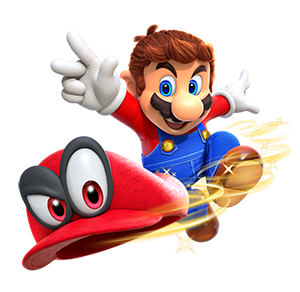 Cappy enables Mario to throw his hat and become a wide range of characters in the game, allowing you to overcome certain obstacles or puzzles. 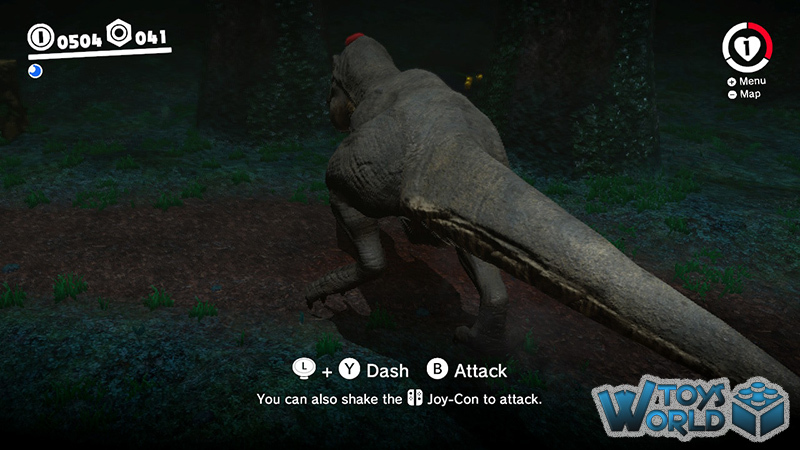 You can actually use Cappy to become a T-Rex, stomping through blocks and adversaries! 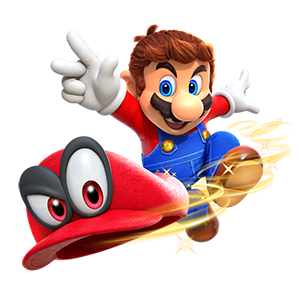 There are moments in the game where cappy will be temporarily taken away from you, and you instantly miss him and his abilities! 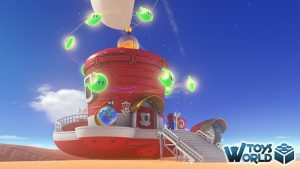 In order to visit the many different lands, you have to power up the Odyssey (Cappy’s airship) with moons that you will find scattered across the world. Complete tasks and find hidden areas to discover more moons and power up the ship. 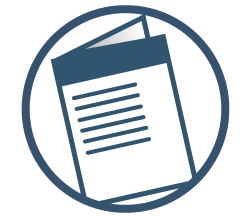 Once you’ve found the required amount that each land demands to refuel the ship, you can then move onto the next land. Rather fantastically, even though you may find the required number of moons, there are still many more to discover in that same land, enabling you to go back and spend more time exploring. 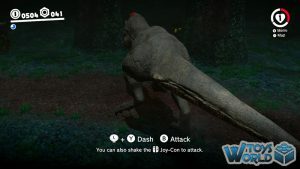 Whilst it is a very different game, Super Mario Odyssey shares some traits with the hugely successful The Legend Of Zelda: Breath Of The Wild. Having large lands to explore with a seemingly endless range of options and features, always makes the game feel fresh and new, which will have you coming back to it time and time again. 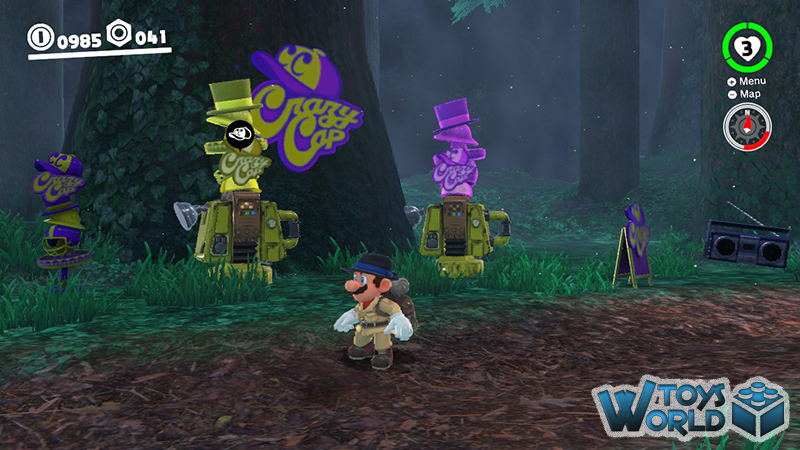 Perhaps one of our favourite moments in the game (so far), is in New Donk City, after you successfully find the 4 musicians for the festival. Mayor Pauline, who also happens to be a great singer (as seen in all the commercials for the game), invites Mario to the festival, and what follows can only be described as a classic Mario fan’s dream! Mario enters a green pipe and becomes the Mario of old, jumping for coins, and evading barrels thrown by Donkey Kong! It’s a section that only lasts a few short minutes, but it feels like a celebration of the franchise – and one you’ll remember! Speaking of celebration, Mario has the ability to purchase (through the many coins you collect) costume upgrades which, in turn, not only look great, but unlock gameplay elements. 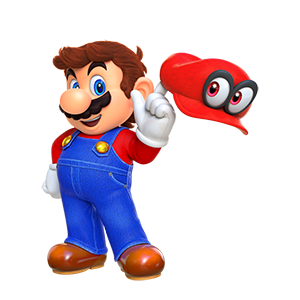 Die-hard fans will recognise costumes from Mario’s past, including; Dr Mario, Golf Mario and Painter Mario (to name just a few). 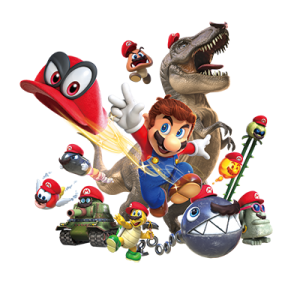 In fact, there are so many references to Mario’s rich history, that you’ll have several light-bulb moments during the game that will bring a nostalgic smile to your face. 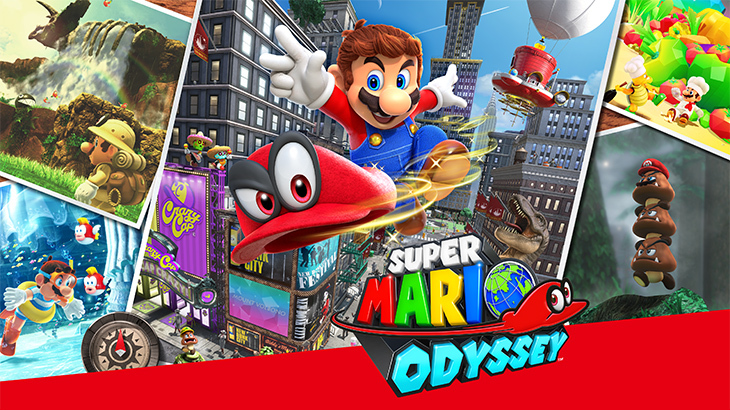 Super Mario Odyssey is a literal game-changer for the Mario franchise, and one that redefines it and sets it up for a whole new generation. With all this in mind, coupled with the fact it was hands-down one of the most enjoyable games we’ve ever played, Super Mario Odyssey gets one of our rare, Gold 5-Star ratings! This is a must-have title that everyone should have at the top of their Christmas list! + BUY Super Mario Odyssey from Amazon.co.uk from just £41.99! 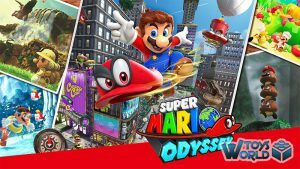 + BUY Super Mario Odyssey from Amazon.com from just $59.88! 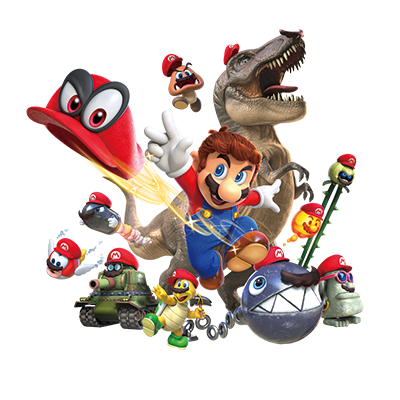 Video Games & Consoles Action, Adventure, Mario, Nintendo, Nintendo Switch, Platform, Platformer, Super Mario, Super Mario Odyssey, Switch. permalink.